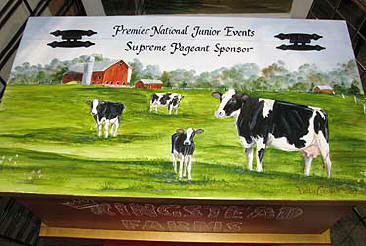 Hand crafted and painted wood chest - Special gift to sponsors. 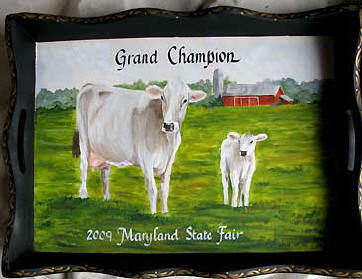 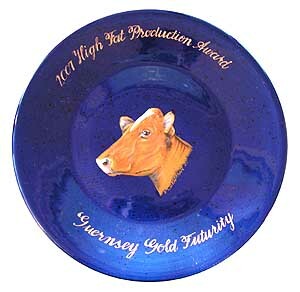 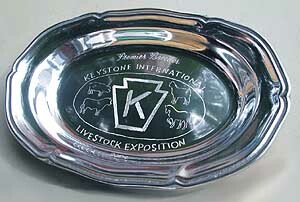 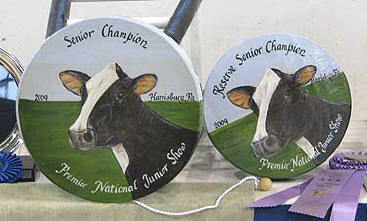 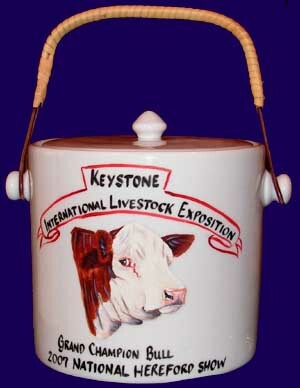 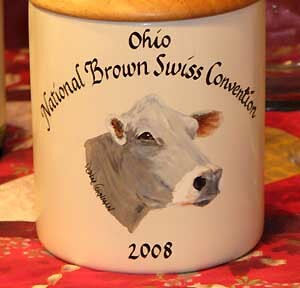 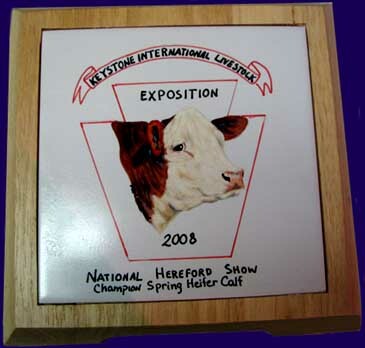 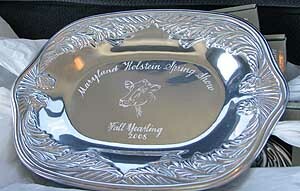 Painted farm scene with Farm Logo on front. 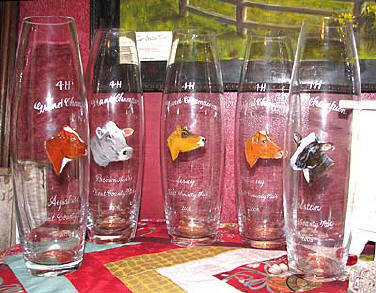 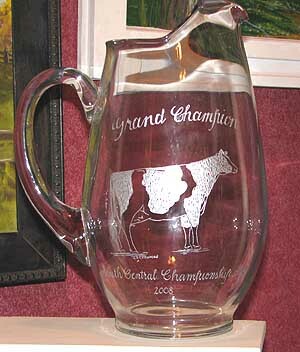 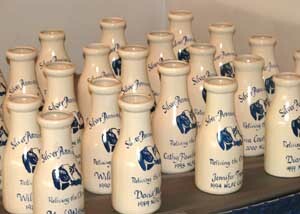 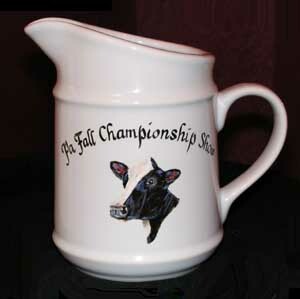 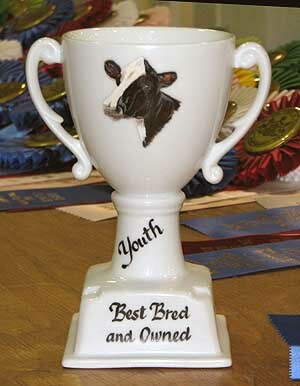 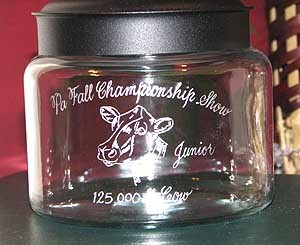 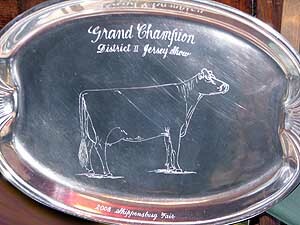 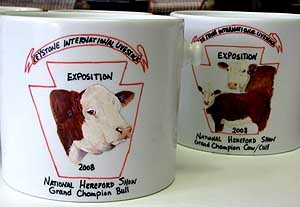 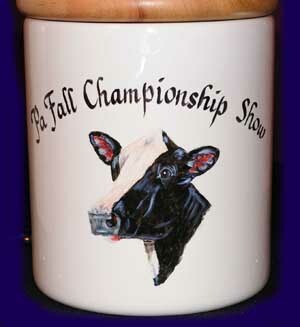 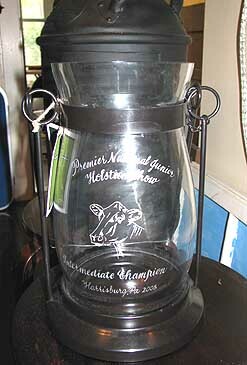 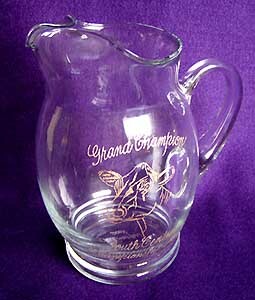 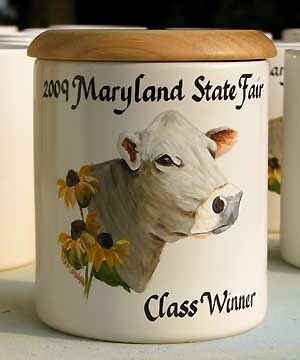 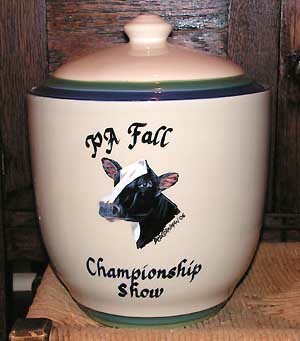 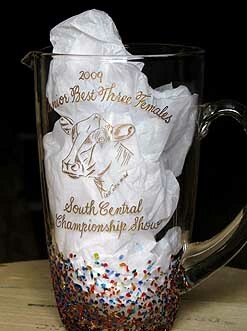 Hand Engraved glass vases with painted dairy breed heads for Champions awards.